I’m a huge fan of cabbage salads, especially this cabbage and feta salad with a mediterranean vinaigrette. 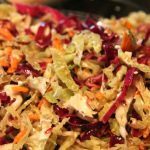 It’s perfect for a picnic – the cabbage softens in the dressing and doesn’t wilt and the vinaigrette holds up in a buffet much better than mayonnaise. 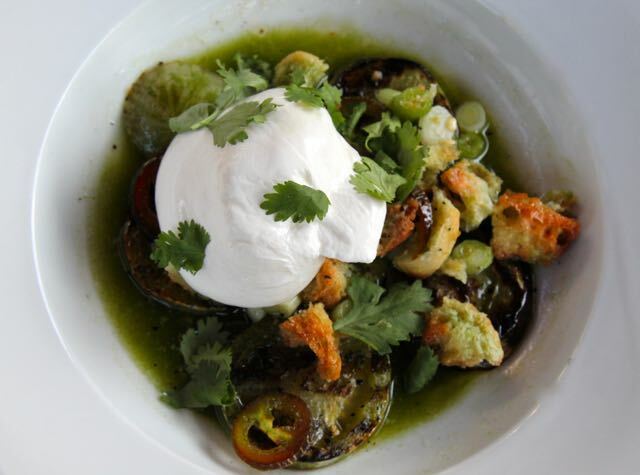 This is one of my go to summer salads. Place the shredded cabbages and carrots in a large mixing bowl. Toss well to mix. In a small container whisk the red wine vinegar, Dijon mustard and olive oil together. Season with salt and pepper to taste and toss the vinaigrette with the vegetables. 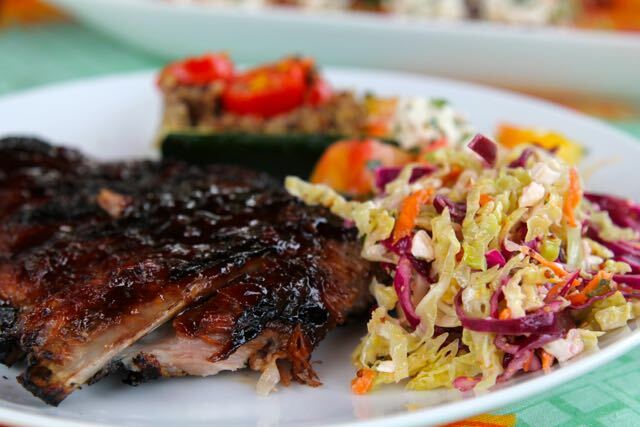 Set aside up to 4 hours at room temperature. Before serving toss in the Feta Cheese and Chopped herbs. 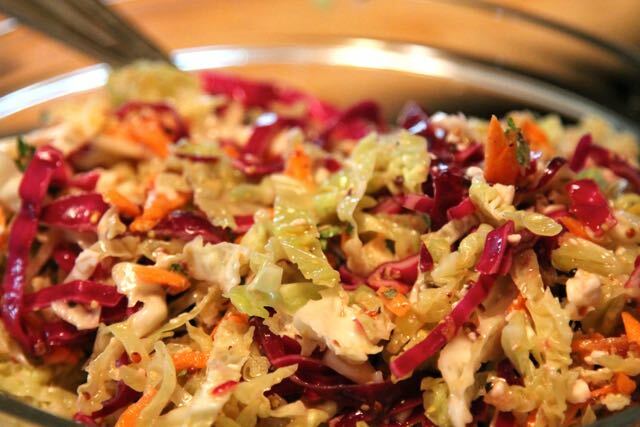 A salad with cabbage and vinaigrette is my favorite salad. I love the crunchy and tangy combo.